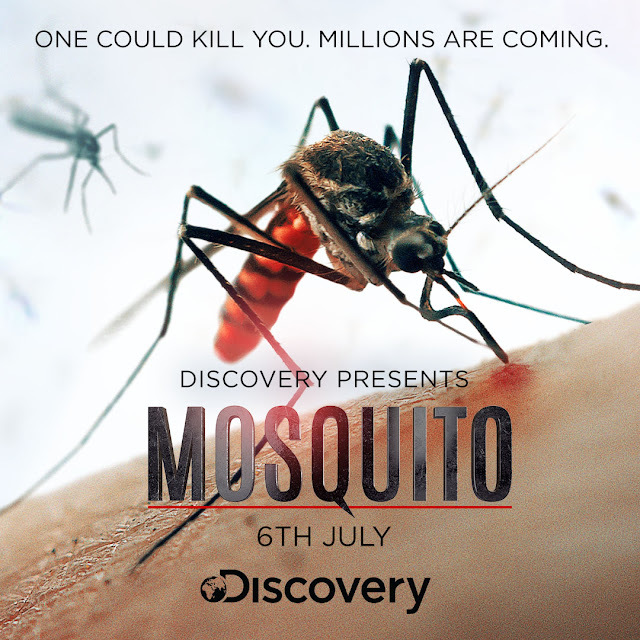 This month, Discovery will use its global reach to focus the world’s attention on the single greatest agent of death in modern human history: the mosquito. The global crisis is highlighted in the worldwide premiere of the upcoming Discovery Impact film MOSQUITO, Thursday, July 6th at 9:50pm, on Discovery Channel and Discovery Networks around the world. In the Philippines, the rainy season has officially started and as much as we enjoy the cold weather, the wet season poses a potential threat in the form of dengue, a mosquito-borne disease which is usually seen during the rainy season. What could be seen as a minor bite from this tiny creature can be more fatal than we think. Mosquitoes breed in standing water so find time to clean up your area and eliminate stagnant water inside and around the house. Clean containers that could possibly be a breeding nest for mosquitoes such as vases, pots, and basins. Always remember that the most effective mosquito repellents are those applied to the skin other than the arm bands, necklace and strips you can attach to the body. Be protected by wearing good mosquito repellents especially when you go out of the house. Protect yourself from mosquito bites by wearing long sleeves and pants especially when travelling or going out of town. Avoid wearing tight-fitting clothes as disease-carrying mosquitoes are able to bite through this type of clothing. Mosquitoes are attracted to old sweat, and not the fresh and odorless one that our body produces after exercising. Sweat begins to smell when mixed with bacteria, which creates some chemical compounds that entices mosquitoes. Avoid getting near clogged gutters and flooded areas as these are commonly present during the rainy season. Best to place plants like basil, citronella, lemon balm, and garlic in your garden. It will not just beautify your home but also keep the family away from mosquitoes as these plants drive mosquitoes away because of their smell. Keep the neighborhood mosquito-free by spraying insecticides in the dark corners of the house. As much as possible try to spray insect repellent during daytime and use water-based sprays which are safe to humans and toxic-free. Discovery Communications (Nasdaq: DISCA, DISCB, DISCK) satisfies curiosity and captivates superfans around the globe with a portfolio of premium nonfiction, lifestyle, sports and kids content brands including Discovery Channel, TLC, Investigation Discovery, Animal Planet, Science and Turbo/Velocity, as well as OWN: Oprah Winfrey Network in the U.S., Discovery Kids in Latin America, and Eurosport, the leading provider of locally relevant, premium sports and Home of the Olympic Games across Europe. Available in more than 220 countries and territories, Discovery's programming reaches 3 billion cumulative viewers, who together consume 54 billion hours of Discovery content each year. Discovery’s offering extends beyond traditional TV to all screens, including TV Everywhere products such as the GO portfolio and Discovery Kids Play; over-the-top streaming services such as Eurosport Player; digital-first and social video from Group Nine Media; and virtual reality storytelling through Discovery VR. For more information, please visit www.discoverycommunications.com.